Governor Kay Ivey has acted to protect the health of Alabamians through programs designed to combat infant mortality and opioid overdoses, and through the state’s work to improve services for roughly 1 million Alabamians covered by Medicaid. Gov. Ivey toured the University Hospital during her LLHL tour of Mobile on Aug. 9, 2017. Alabama Medicaid has won approval from the federal Centers for Medicare and Medicaid Services (CMS) to start a new program, called the Integrated Care Network (ICN), to provide education and outreach to people eligible for Alabama Medicaid’s long-term services and supports. Those services include nursing-home care as well as in-home services, which tend to be less costly and can help elderly or disabled people stay at home. Alabama Medicaid signed a contract with Alabama Select Network to be the state’s ICN. The company will get a per-member, per-month payment for helping direct people to appropriate services, and to cover the costs of in-home services. Alabama Select Network could earn bonuses if, over time, there is an increase in the percentage of people receiving in-home services among people eligible for Medicaid’s long-term services and supports. The ICN is now operating in Alabama. In addition, Alabama Medicaid has worked to create a program called the Alabama Coordinated Health Network (ACHN), under which most Alabamians covered by Medicaid would have their care monitored by case managers. The program is slated to start in 2019 or as soon as CMS approves the plan. The ACHN will encourage doctors to provide a higher quality of care while rewarding them for care provided at a lower-than-forecast cost. Alabama Medicaid officials have filed a revised application that asked CMS for permission to impose work or training requirements on some of the 75,000 parents or other caretakers of Medicaid-eligible children who are themselves covered by Medicaid, which could take affect once approved by CMS. Exceptions would be given for disabled or medically frail people, pregnant women, people 60 or older, people in treatment programs for alcohol or substance abuse, people required to care for a disabled child or adult, single custodial parents of a child 1-year-old or younger, or single custodial parents of a child younger than 6 for whom appropriate child care is not available. People subject to the requirement who did not work or undergo training or do volunteer work for 35 hours a week (20 hours a week for parents/caretakers of a child younger than 6) would lose Medicaid coverage. Parents or other caretakers on Medicaid would have 90 days after Medicaid notified them of the work or training requirements to meet the requirements or provide proof that they were exempt. Alabama Medicaid officials in their application said a key goal of the proposal is improving the health and economic security of affected Medicaid beneficiaries by requiring them to engage in employment activities. 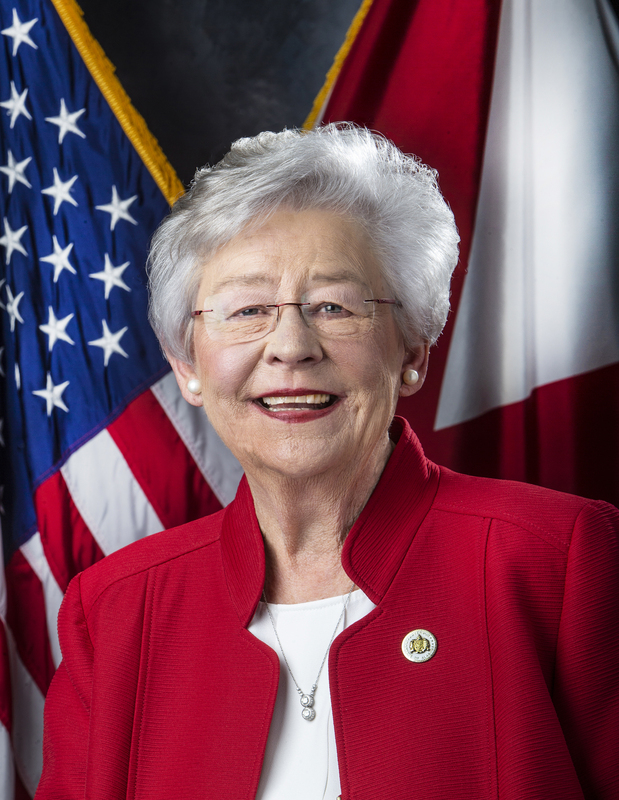 Governor Ivey approved changes in Alabama Medicaid’s dental policies and rates of payment to dentists, as suggested by the Alabama Dental Association. An actuary hired by Alabama Medicaid estimated the changes would save the state $1.2 million a year over five years. Gov. Ivey tours United Ability in Birmingham on August 28, 2017. Governor Ivey added, and the Legislature approved, funding to combat infant mortality. 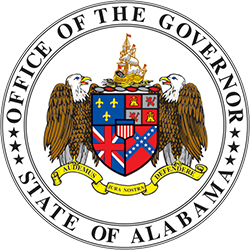 As the chair of the Alabama Children’s Cabinet, the governor followed through with the Cabinet’s recommendation to financially support pilot programs in Macon, Montgomery and Russell counties. The money will be spent by the state agencies over early childhood education, mental health, and public health, in part to expand evidence-based home visitation programs, such as the Nurse-Family Partnership or Parents as Teachers, to visit new mothers and their babies. 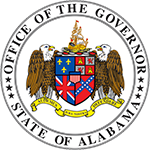 Governor Ivey created the 40-member Alabama Opioid Overdose and Addiction Council, led by state Mental Health Commissioner Lynn Beshear, State Health Officer Scott Harris, and state Attorney General Steve Marshall, and charged the group with proposing ways to “address the overdose crisis in Alabama.” The Council included many of the members of a similar group created in 2016. The Council’s second annual report is due by the end of the year. 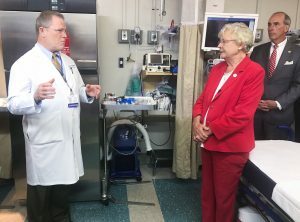 Governor Ivey secured funding in the state’s operating budget for Fiscal Year 2019 to improve the Prescription Drug Monitoring Program (PDMP), in part by making it easier to use. This was a direct recommendation from the Opioid Council. Physicians and other prescribers by law must report to the PDMP prescriptions they write for opioids, and pharmacists must report the prescriptions for opioids that they fill. The PDMP can be used by prescribers to see if a patient already has been prescribed opioids. Governor Ivey signed a law that made it a crime to traffic in fentanyl and carfentanil, synthetic opioids that are much more potent than heroin. Among other things, the law made it a felony to knowingly possess more than a half gram of fentanyl or a related synthetic opioid, or possess, sell, or deliver a mixture containing fentanyl or a related synthetic opioid. Outlawing fentanyl was one of the recommendations made by the Alabama Opioid Overdose and Addition Council. Gov. 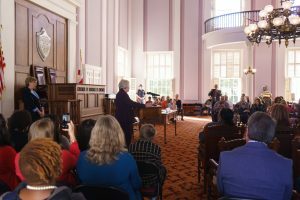 Ivey signed the National Adoption Month proclamation with DHR Commissioner Nancy Buckner November 26, 2018 in Montgomery. 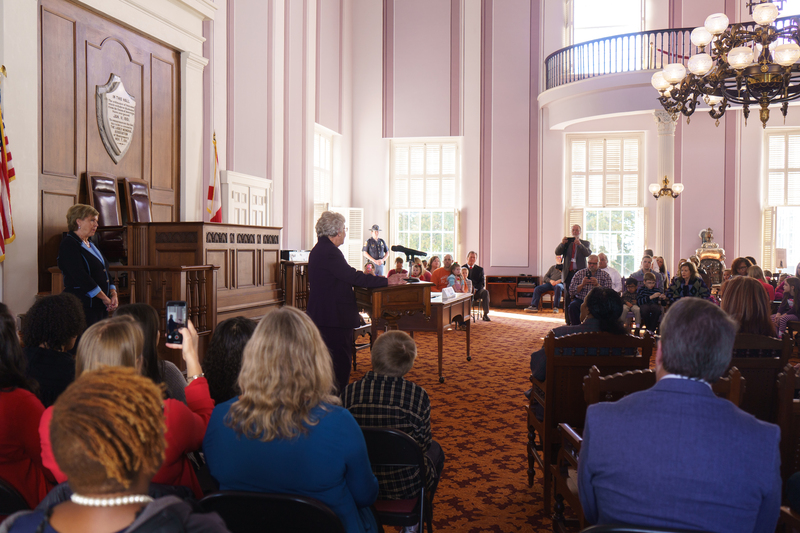 Governor Ivey signed an agreement to set aside state dollars to expand behavioral health services for Medicaid-eligible children and youth with severe emotional disturbance or autism spectrum disorder. The funding will come mostly from new appropriations proposed by Governor Ivey and approved by the Legislature, and also from Alabama Medicaid, the Alabama Department of Human Resources, and the Alabama Department of Mental Health. The agreement signed by Governor Ivey also was signed by leaders of two nonprofit advocacy groups, the Alabama Disabilities Advocacy Program and the Center for Public Representation, who helped develop the agreement and will provide input as state officials provide services outlined in it for thousands of affected children and youth. Gov. 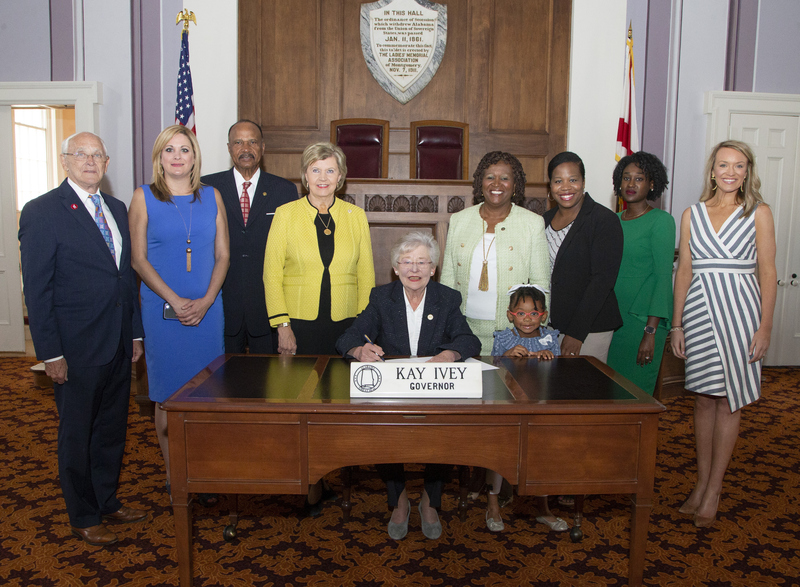 Ivey signed HB 76 on May 21, 2018 at the State Capitol. 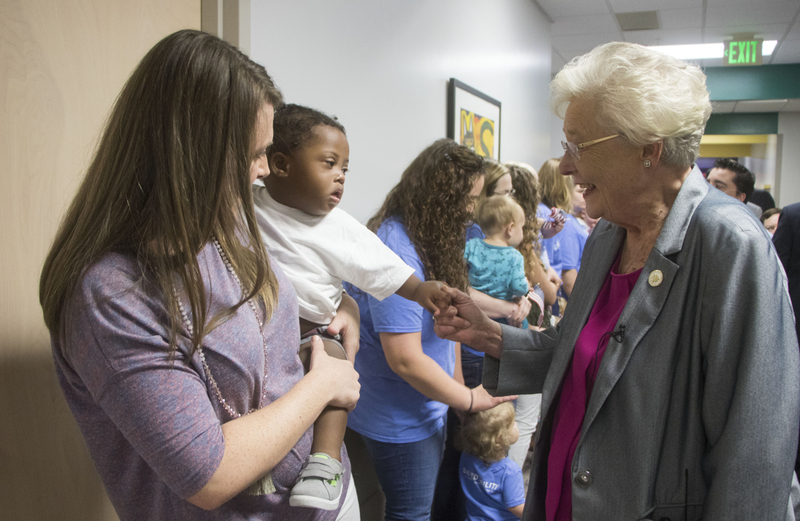 Governor Ivey signed a law that is expected to reduce the number of child-care centers in Alabama that are exempt from licensure by the Alabama Department of Human Resources (DHR) from 875 to 546. It further requires unlicensed child-care centers annually to provide DHR proof of compliance with fire and health inspections, proof of insurance, employee criminal-background checks, and, if requested, immunization records of all children.